The research report about the Europe specialty printing consumables market segments the Europe market in terms of type of product and application. The global market for specialty printing consumables can be further segmented in terms key geographical regions. Such precise segmentation of the global market is designed in a manner to help the potential buyers to make an informed decision and better their overall business model. 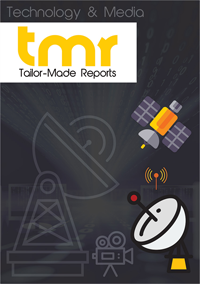 The research report Specialty Printing Consumables Market (Printing Process - Lithographic Printing, Flexographic Printing, and Rotogravure Printing; Product - Toner, Ink, Specialty Substrate, and Chemicals; Application - Office and Professional Application, Commercial Printing and Publishing Application) - Europe (EU5) Industry Analysis, Size, Share, Growth, Trends and Forecast 2016 - 2024 spreads the global market scenarios of specialty printing consumables over key geographical regions. The study report on global market expects the quick development of the market for the given forecast period of 2016 to 2024. The positive development diagram of the market is ascribed to a few viewpoints that are well talked about in the research report. The precise costing assessment and value chain evaluation are also discussed in the research report. This study report is focused on the uses of protein snacks, different product types of specialty printing consumables and various channels of distribution to reach varied client base. The research report tries to incorporate historical data of the protein snacks market alongside the present market situation. Depending on the developments and trends and the past and current market scenarios, tries to present the future market assessment for a period of 2016 to 2024. The market in Europe for specialty printing consumables is expected be chiefly driven by the promising growth in the overall demand for industrial as well as industrial printed textiles in the printed packaging products. The increasing volume of exports as well as online orders through e-commerce websites is also helping in the overall development of the Europe for specialty printing consumables market. In addition to this, wide range of applications of 3D printing is expected to help the overall development of the market in the coming years of the forecast period. From a geographical viewpoint, the Europe market for specialty printing consumables has been dominated chiefly by Germany. The revenue shares across Germany are expected to continue to bolster over the course of the given forecast period. On the other hand, the U.K market is expected to show a great promise with the help of branding and marketing which will attract more investment. Some of the key players in the Europe market for specialty printing consumables market include names such as Nazdar Ink Technologies (Thrall Enterprises Inc.), Canon Inc., Marabu GmbH & Co KG, Siegwerk Druckfarben AG & Co. KGaA, Saati S.p.A., Flint Group, and Sun Chemical Corporation.